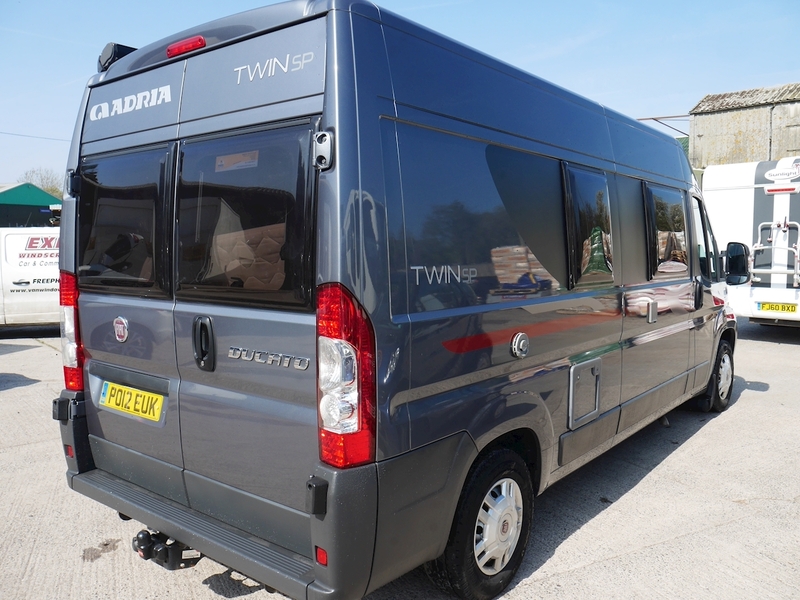 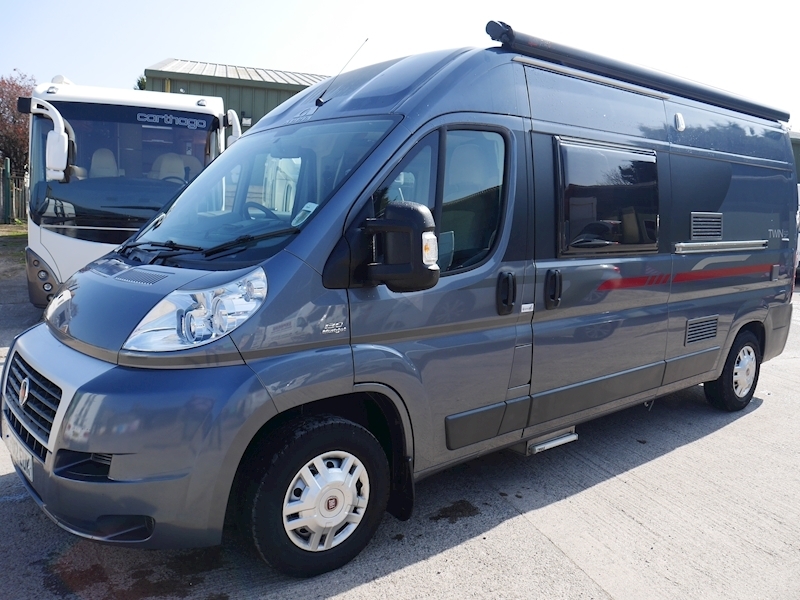 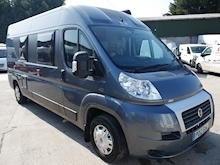 This 2012 Adria Twin SP is a high quality three berth van conversion, positioning a front lounge and a fixed transverse bed to the rear. Taking a look at the exterior, this particular Twin has been finished in a dark grey paint, combining very well with a coordinating graphics scheme. 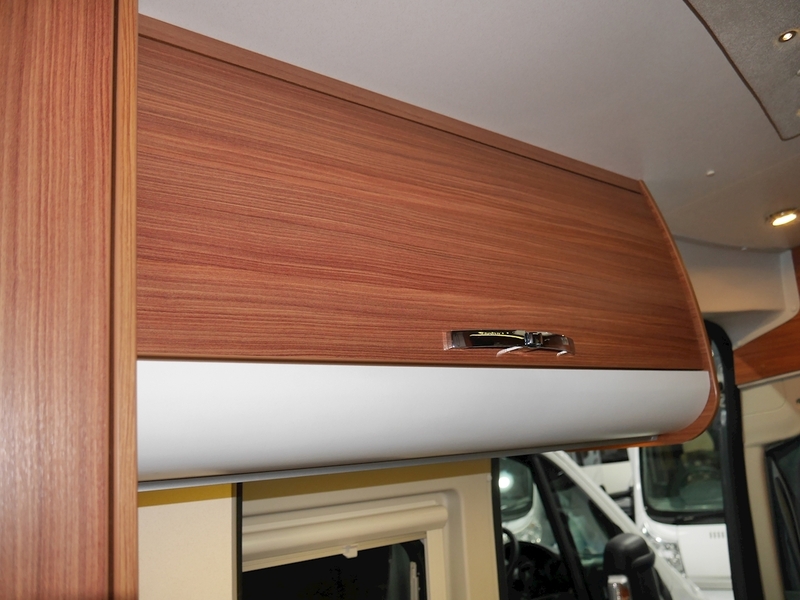 The bumpers are colour coded to provide an extra feel of luxury. 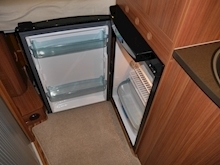 On the nearside you will find a sliding habitation door, with a Thule electric entrance step fitted below. Above is a Fiamma F45 roll out awning, creating an outdoor living space when desired. 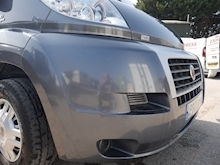 The electric hook up point is also positioned on the nearside. 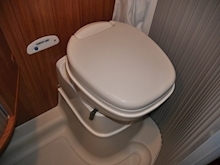 Moving over to the offside you will find the remainder of the standard exterior specification within a Thetford toilet locker and the water inlet point. 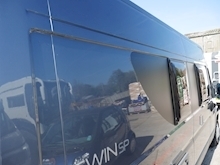 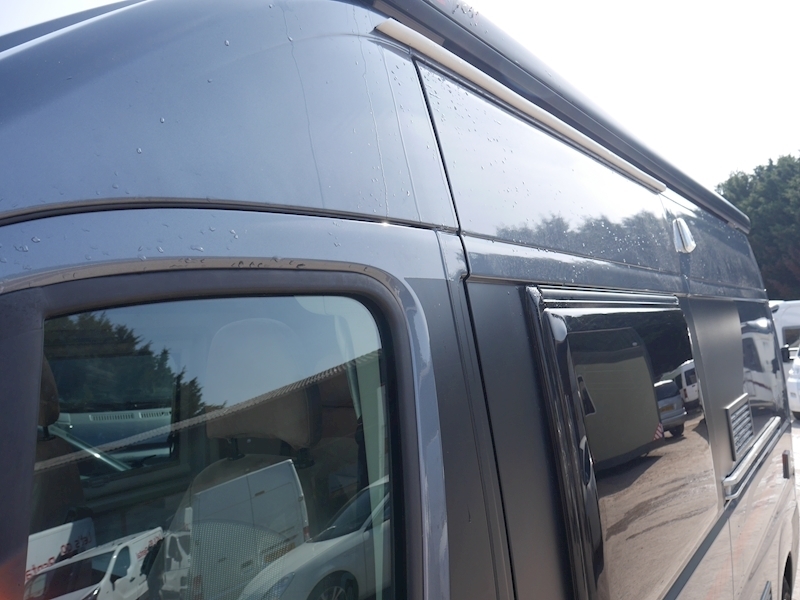 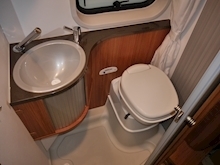 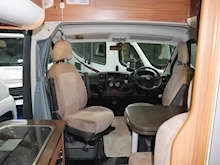 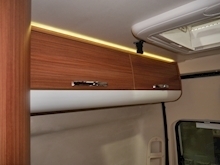 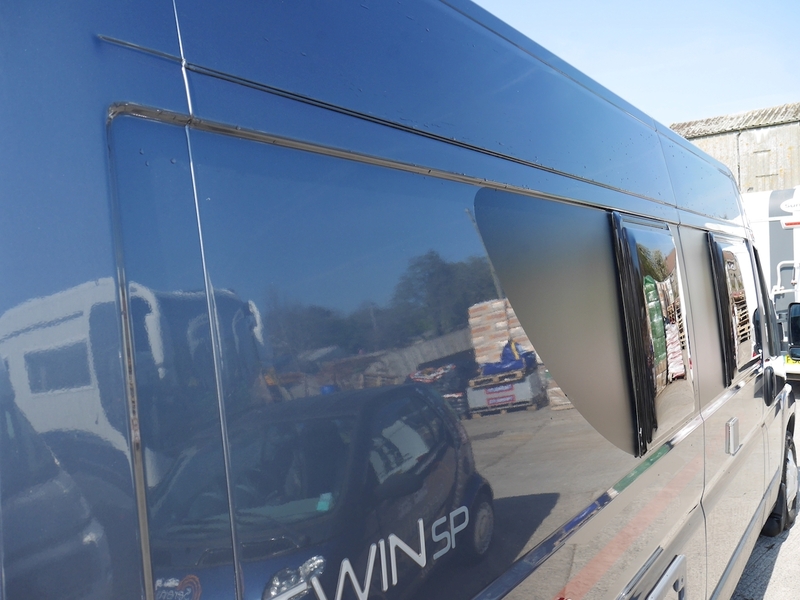 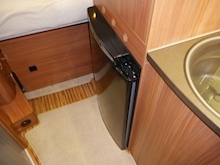 To the rear of the motorhome you have back opening doors and an optional fitted tow-bar. 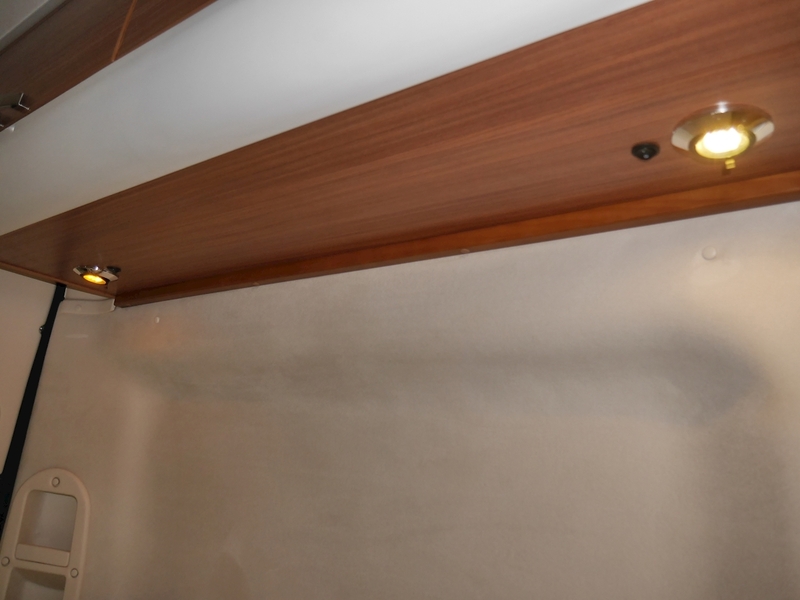 Internally, the SP is very well thought-out. 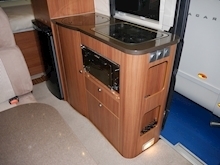 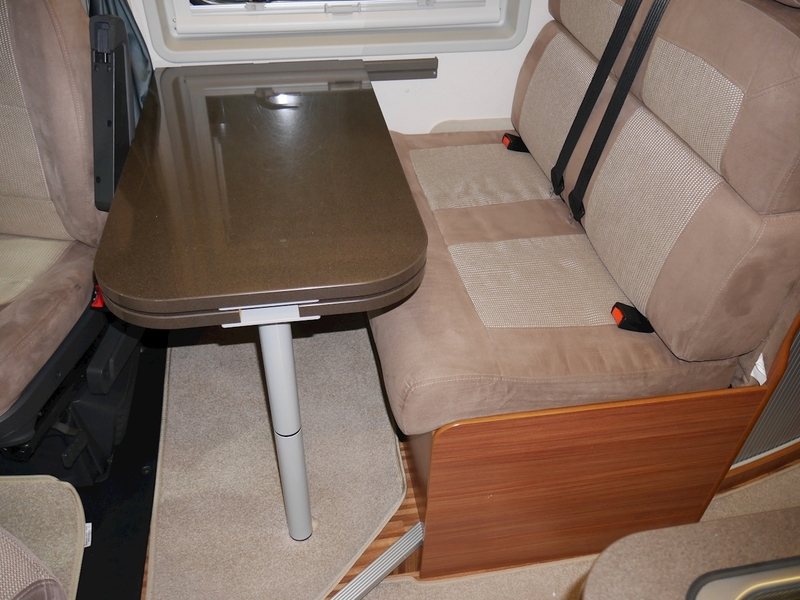 High quality fixtures and furnishings provide a premium feel, whilst the Adria is very well lit throughout. 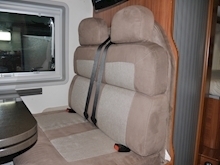 Taking a look at the front cab area you will find twin seats, both of which have the ability to rotate and add to the lounge facility just behind. 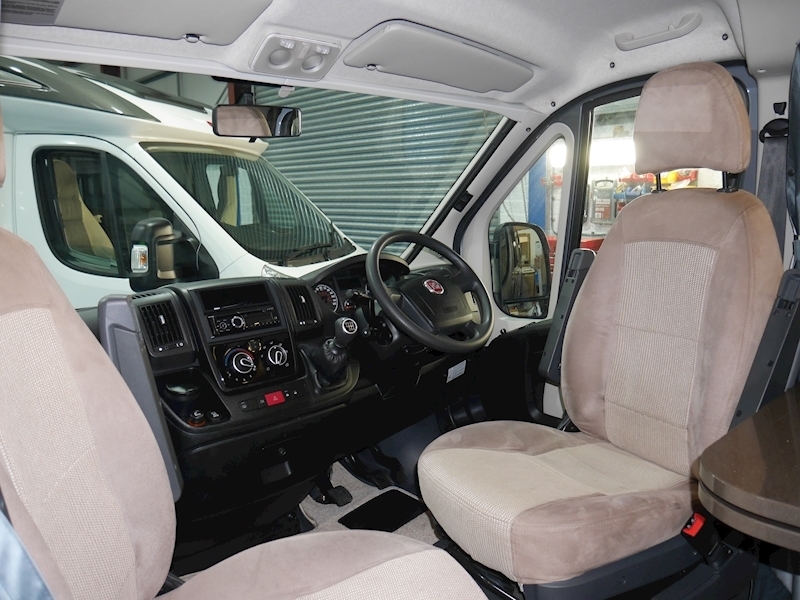 Specification levels are very good too, you have: ABS, power steering, cruise control, central locking, cab air conditioning, electric windows and mirrors, 2 x 12v sockets, Remis cab blinds and a radio player. 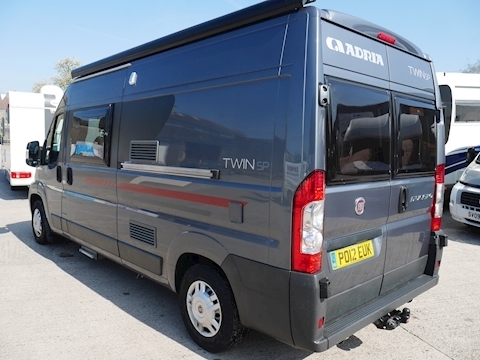 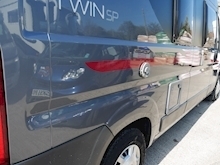 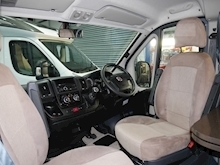 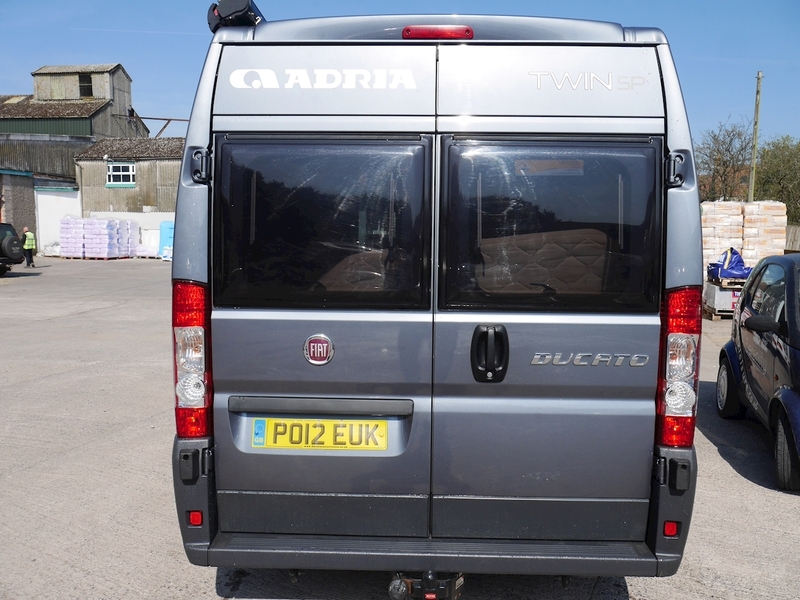 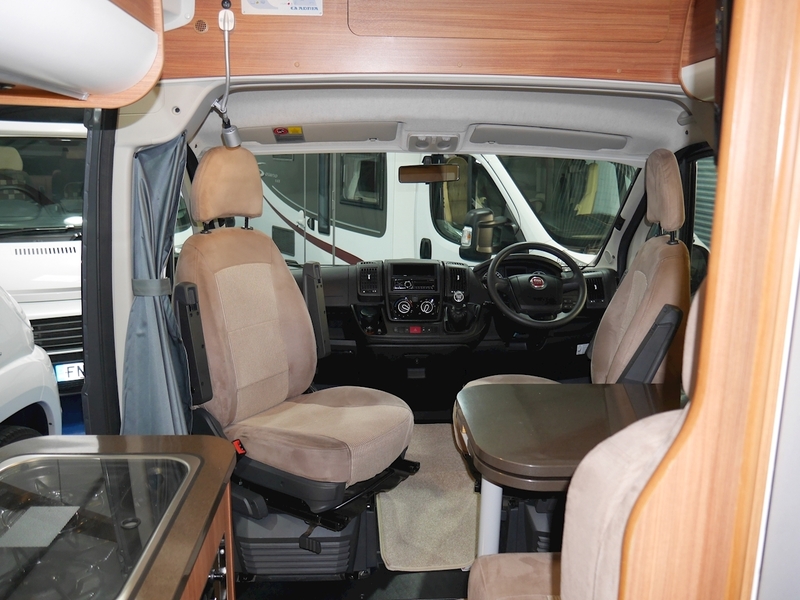 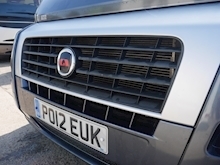 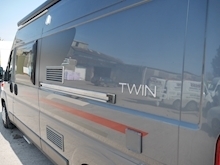 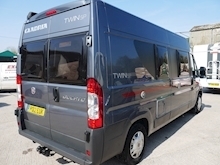 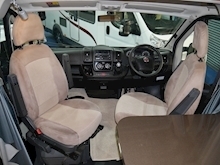 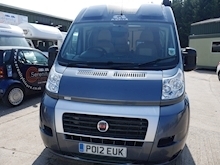 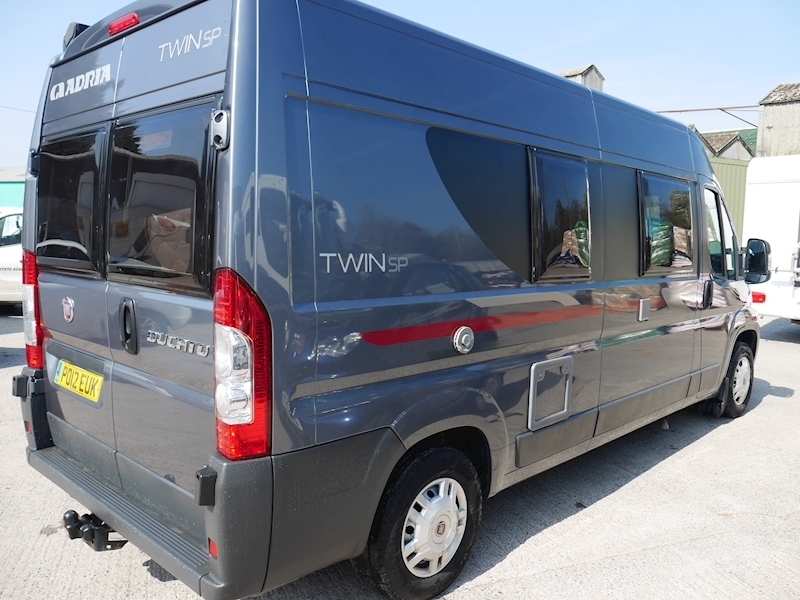 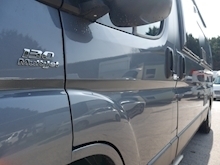 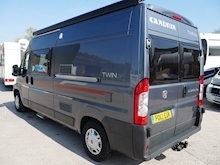 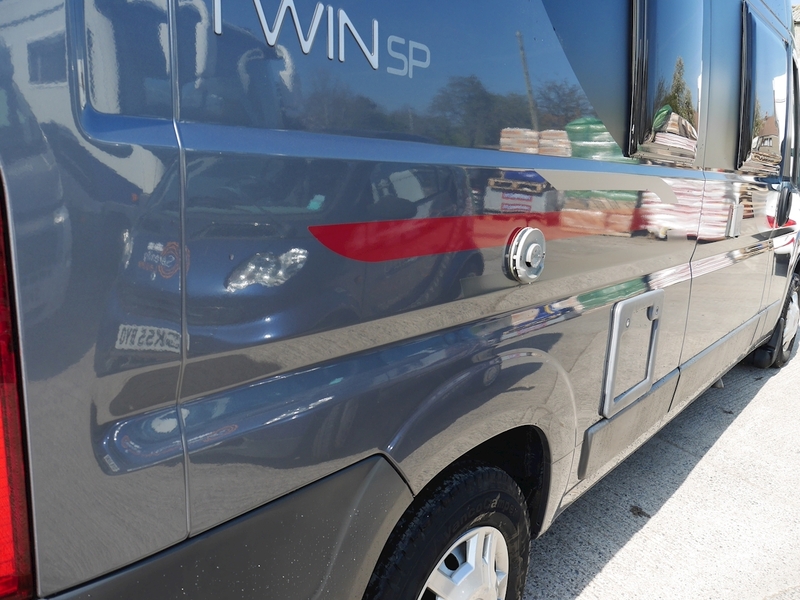 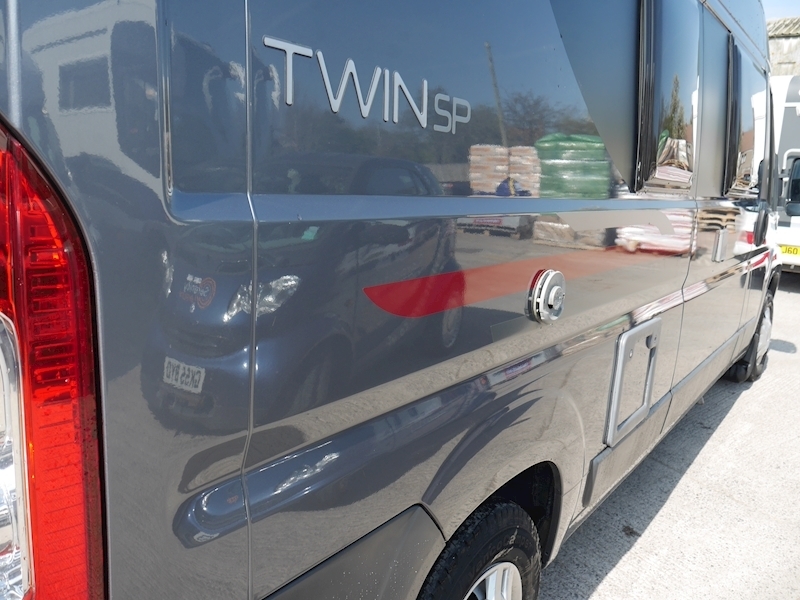 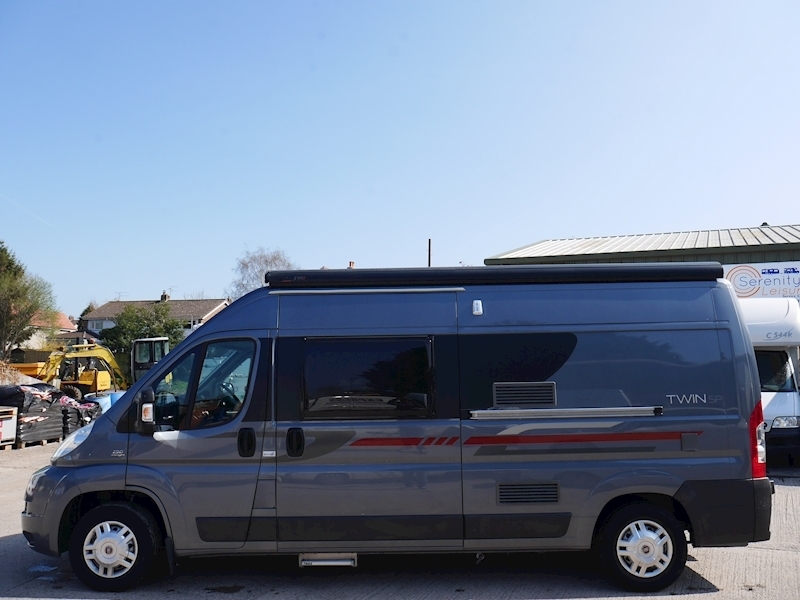 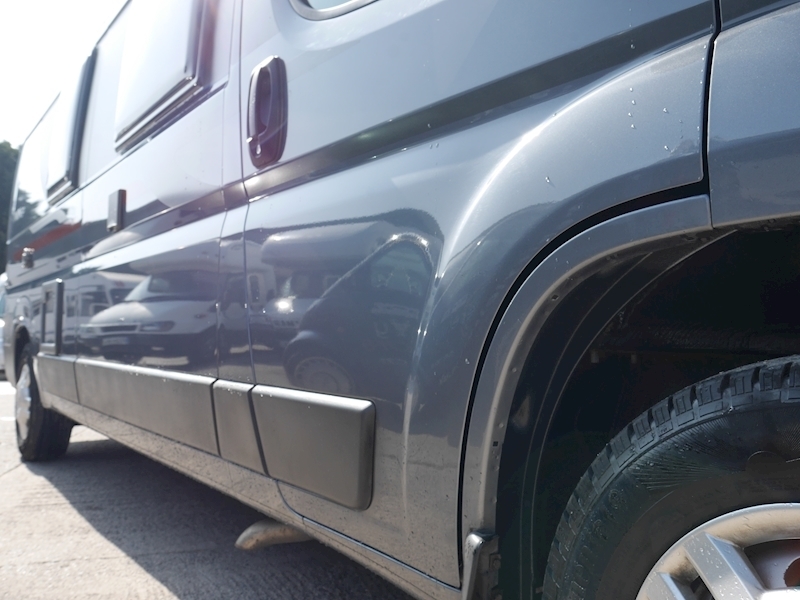 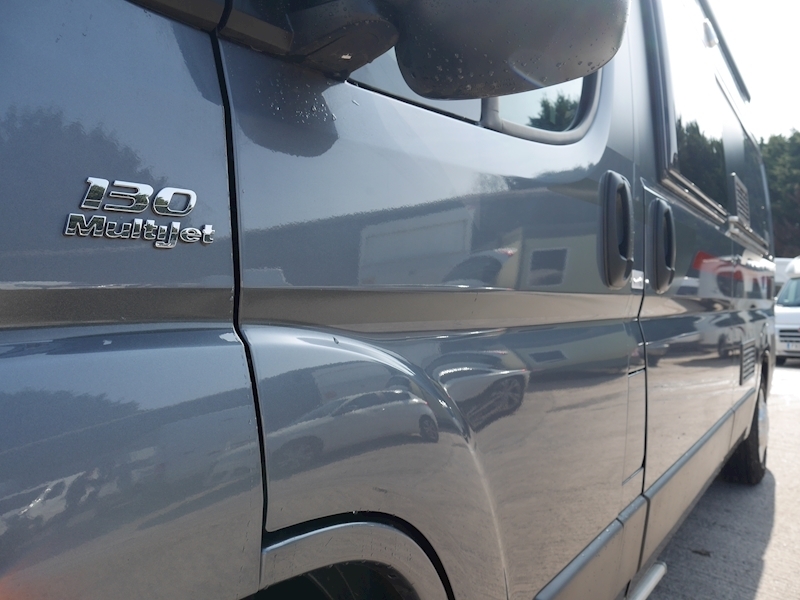 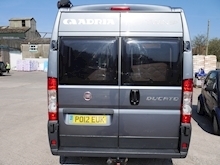 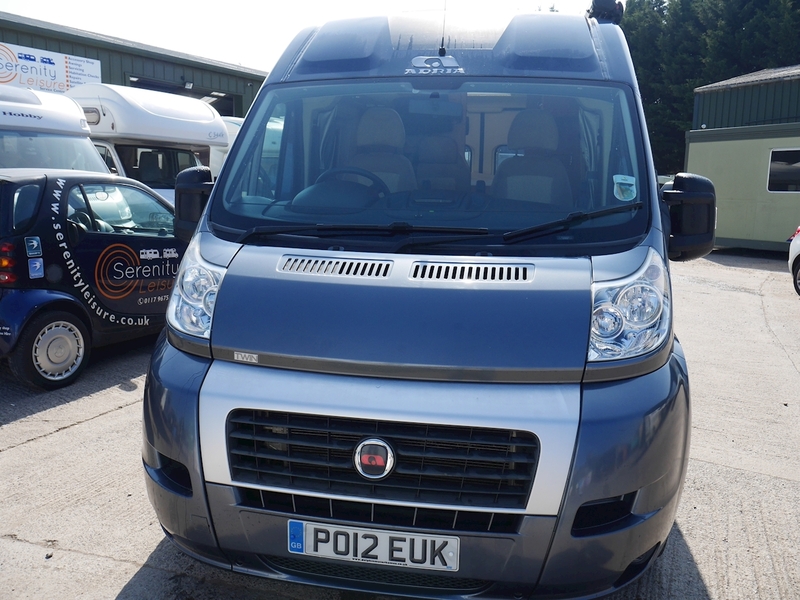 The base vehicle of the Twin is the Fiat Ducato 2.3Jtd, which has covered just 17,000 miles from new. The lounge facility is just behind and consists of a forward facing bench seat, which is equipped with two three-point seat-belts. 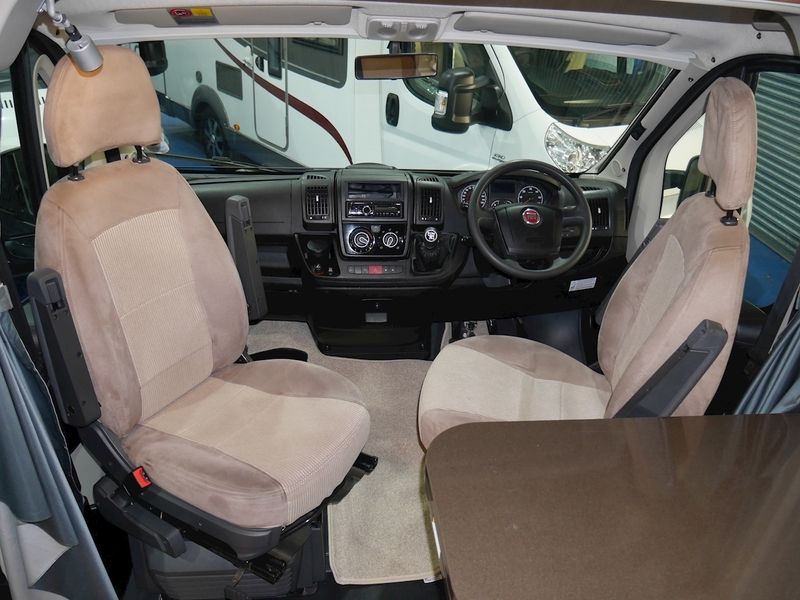 With the addition of the front seats rotating you are presented with a sociable setup. The dining table has a rotating extension point, whilst storage facilities can be found within overhead lockers and space beneath the seating. 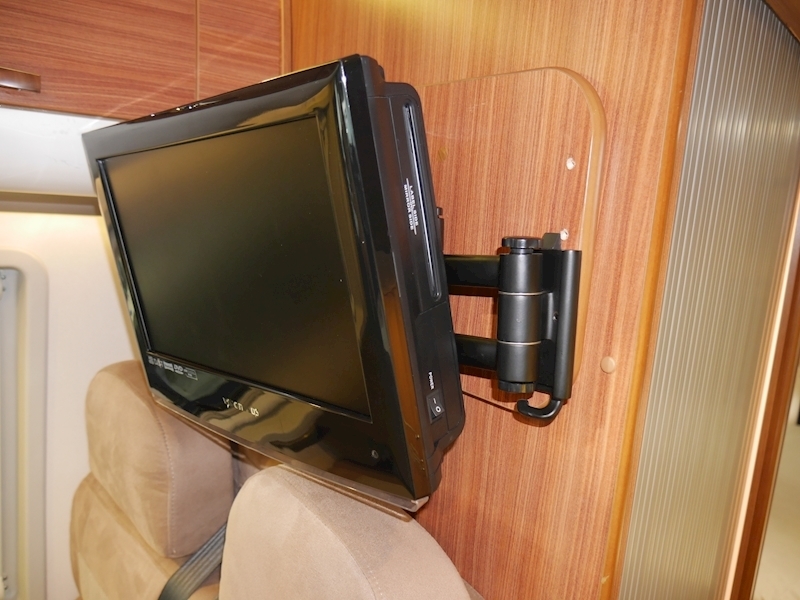 To complete the area, you have a mounted television, providing entertainment. 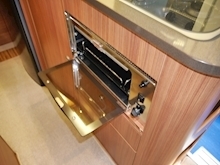 The kitchen area is equipped with an impressive amount of specification, along with a very good level of storage facilities. On the right hand side there is a Smev oven/grill combi, whilst a two burner hob is just above. 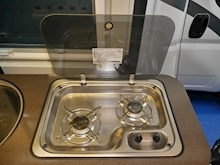 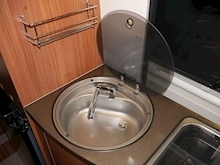 The stainless steel sink is to the left, with both the hob and the sink coming equipped with glass covers. On the far left hand side is the Thetford dual-fuel fridge freezer unit. 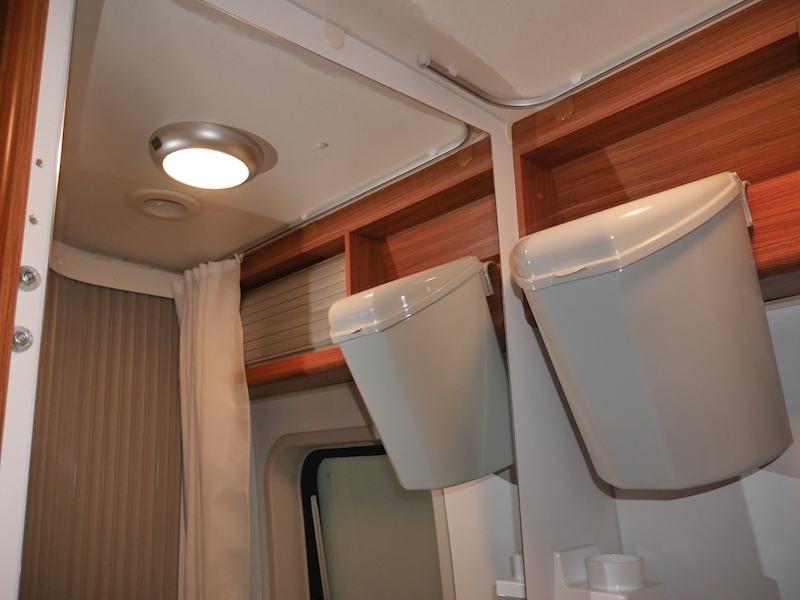 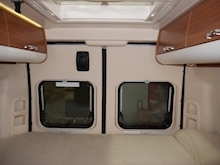 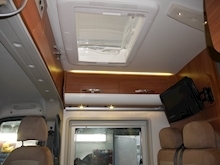 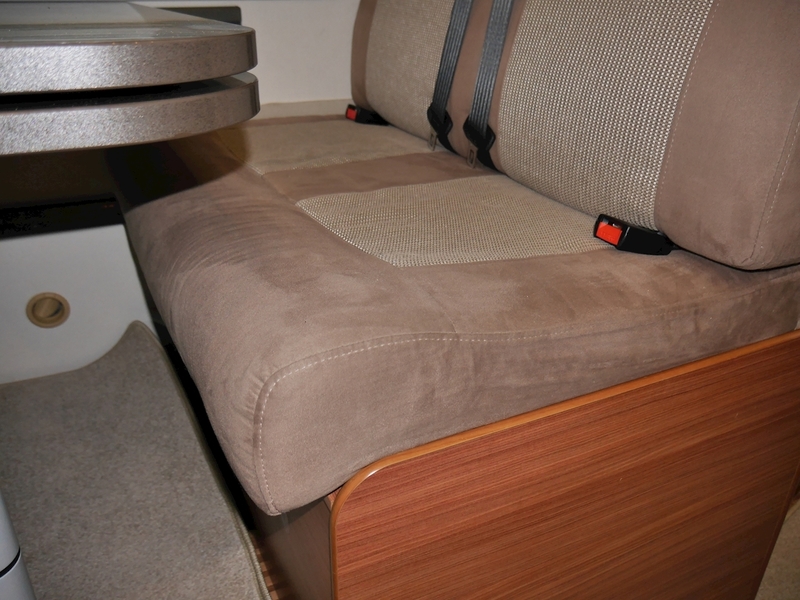 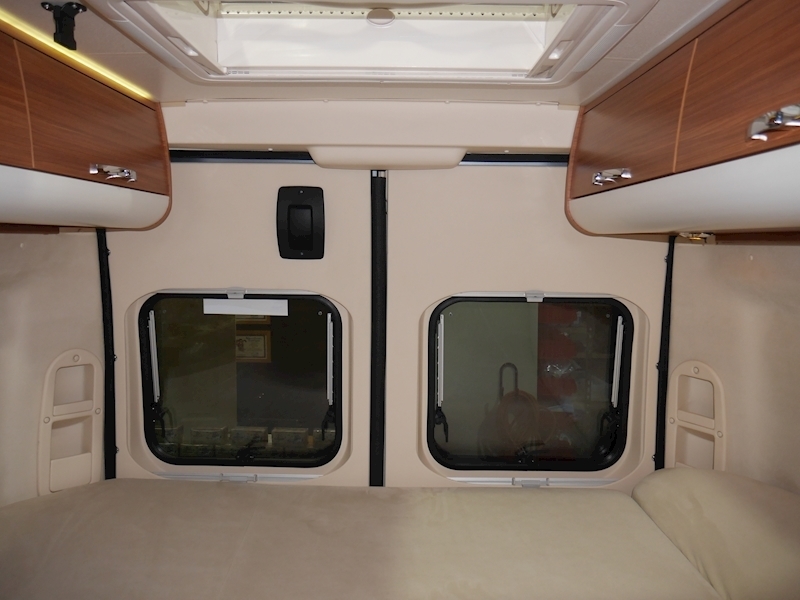 The highlight of the SP's layout is the fixed transverse bed at the rear of the motorhome. 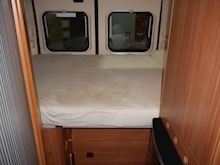 With a highly comfortable double mattress, you are assured of a very good night's sleep. 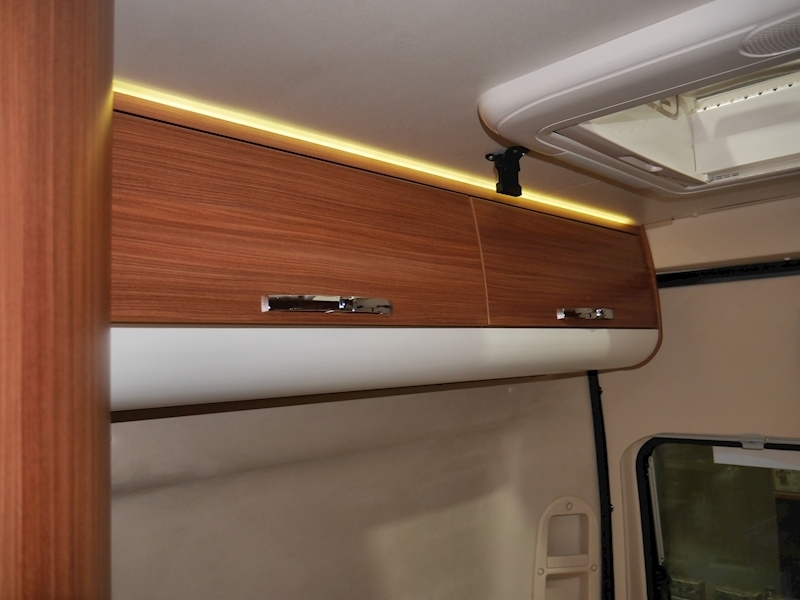 Lighting to the area is fantastic, with both natural and artificial sources proving effective. The bed has the ability to fold up on the offside, allowing you to utilise the space for storage. The washroom is located centrally and is accessed through a sliding door. 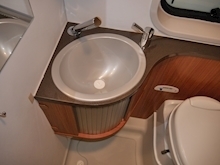 Inside there is a Thetford electric flush swivel toilet, along with a wash basin on the left. The basin comes equipped with a vanity unit below and a chrome mixer tap, which also becomes your shower head when required. A frosted window provides privacy to the area and you will also find additional storage facilities present.